May | 2015 | Great Cats of the "World"
Man-killer or victim of human interference? Debate rages over Ranthambore tiger’s relocation…. A PIL filed on Ustad’s relocation by a wildlife enthusiast who visits Ranthambore every three months alleged the tiger had been wrongfully accused of being a man-eater without any evidence. In an act which tiger experts termed as ‘capital punishment without a fair trial’, the Rajasthan forest authorities on Saturday sent the Ranthambore tiger T-24 to Sajjangarh Biological Park in the outskirts of Udaipur, around 400 km away from his territory. 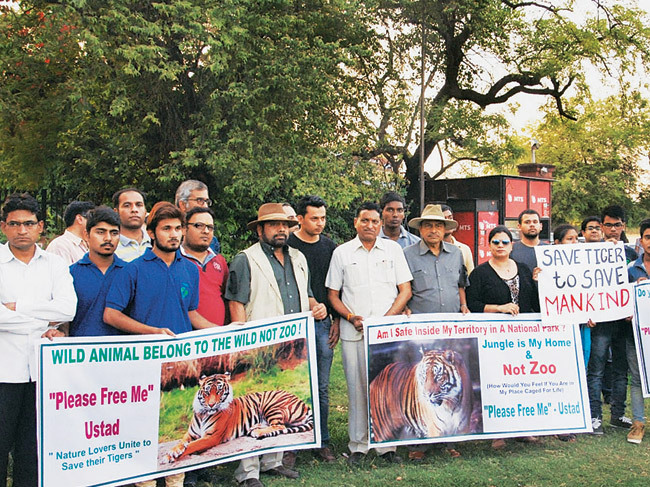 The move prompted a protest rally by tiger lovers and experts, who called it a black day in the history of wildlife, in Jaipur on Saturday evening. The move is a U-turn from stand maintained by the government till Friday, when Minister of State for Forests Raj Kumar Rinwa said T-24 would not be shifted to a zoo or park till a committee of experts submitted a report on the matter. Rinwa had told MAIL TODAY that the committee would be set up after Chief Minister Vasundhara Raje, who was in New Delhi, returned to the state. However, Rinwa was not taken into confidence before shifting T-24, also known as Ustaad. The minister did not take telephone calls on Saturday. 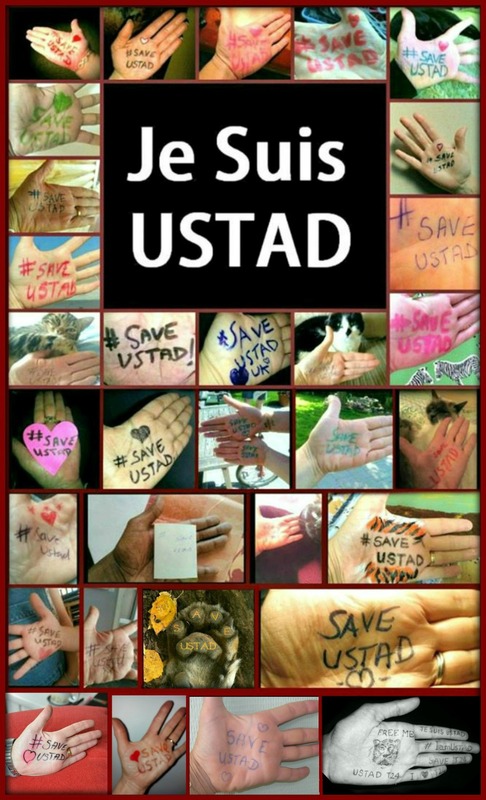 Ustaad was shifted to Sajjangarh by road after being tranquilised. Ranthambore Tiger Reserve’s field director Y.K. Sahu told the media that the wild cat was shifted on the basis of a report suggesting the same. However, tiger expert Dhirendra Godha called the report as “bogus” as it was prepared by reserve’s officers under pressure from the tourism lobby. Rajasthan’s former principal chief conservator of forests R.N. Mehrotra alleged that Ustaad would be kept in a cage in Sajjangarh without following the standard operating procedure as suggested by the National Tiger Conservation Authority (NTCA). “The park was made out of a zoo during my tenure,” Mehrotra recalled. According to the NTCA, a big cat could be shifted to a zoo only after a detailed inquiry by a committee of well-known experts, as Rinwa had suggested. “No such detailed inquiry was conducted,” Mehrotra asserted. T-24’s fate was uncertain after it killed forest guard Rampal Saini on May 8. The nine-year-long reign of Ranthambore’s tiger T-24 came to an abrupt end on Saturday. 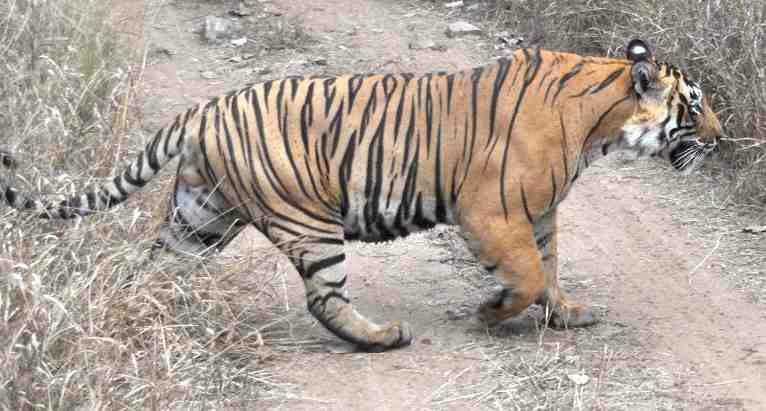 After blaming the big cat for killing a forest guard on May 8, an allegation which many wildlife activists believed had not been proved, the forest department abruptly shifted the tiger popularly known as Ustad to Udaipur’s Sajjangarh Biological Park, some 500 km from its territory in Ranthambore Tiger Reserve. The tiger was tranquilized at around 10.30 am on Saturday and was then set on a nearly 11-hour-long journey to the biological park in a cage. The day temperature was hovering around 40 degree Celsius but ice was stocked and water was sprinkled in the cage to keep it cool for the big cat. A team of 12 reserve officials and doctors accompanied the canter carrying the cage. The tiger’s territory that was spread over 30-40 square kilometer in Ranthambore will now be confined to an enclosure measuring nearly half-a-hectare in the biological park. Forest officials moved the tiger claiming that it has killed four people in five years, lost fear of humans and become a man-killer.Wildlife activists and conservationists were shocked as they had been assured by the state government that T-24 wouldn’t be shifted without a proper enquiry. They are crying foul because they believe it was not proved if T-24 had killed forest guard Rampal Mali on May 8. Some believed that it was T-72 who killed the guard but T-24 was blamed for the killing.In fact, a committee’s formation was underway to decide on the fate of T-24 but sources said bowing to a small but powerful section of hotel lobby in Ranthambore, a senior forest official abruptly decided to shift the tiger on Friday evening. Sources even said the minister of state for forest and wildlife Rajkumar Rinwa who had promised to postpone the shifting and initiate an enquiry by forming a committee was kept in the dark as the chief minister’s office (CMO) had directly intervened.”We had been tracking the tiger since last night. After 9 am, T-24 was spotted in Magrad area in the reserve’s zone number 2 with tigress T-39, popularly known as Noor. T-24 has fathered two male cubs with Noor,” said a reserve official. T-24 and T-39 were near a Sambar deer that one of them had killed. “T-24 was trying to scare away T-39. At around 9.15 am, T-39 strode away. Different teams of officials surrounded the tiger. Dr Rajeev Garg, a veterinarian, tranquilized the tiger at around 10.30 am. It drifted into unconsciousness an hour later. It was then put into a cage,” said the officer. The officer added that at around 1 pm, the canter carrying the cage left the reserve for Sajjangarh Biological Park. 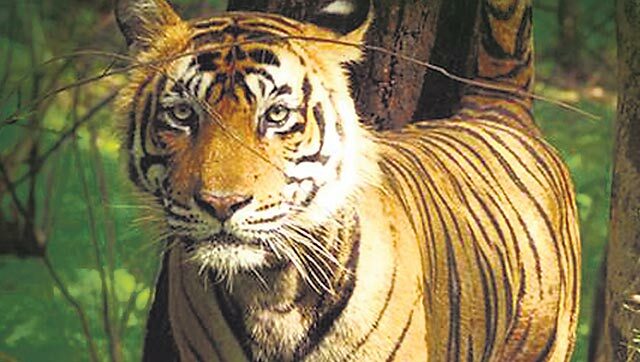 The shifting of the tiger was kept as a low key affair to the extent that even the Sajjangarh Biological Park officials had not been intimidated about the shift officially till afternoon.”T-24 had killed forest guard Rampal Mali on May 8. The next day we were told to be prepared for the shift of the tiger to Sajjangarh. We were prepared but we didn’t receive any order from Jaipur authorities or from Ranthambore National Park on Saturday. If it comes, it would be kept in an enclosure,” said T Mohan Raj, deputy conservator of forest. Sources said reserve officials had not sought any permission from Nation Tiger Conservation Authority (NTCA). “We don’t require permission. The chief wildlife warden can authorize the relocation,” said a forest official. 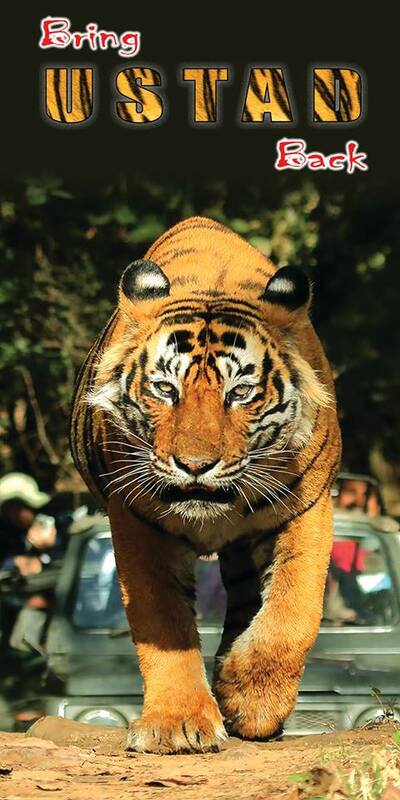 Nine-year-old T-24, that ruled Ranthambore as the largest tiger here, has attracted tourists from all over the world and never disappointed them. He was often clicked sitting on roads, near hotels and the Ganesh temple.Other than the guard, the tiger was blamed for killing 23-year-old Ghamandi Lal Saini on July 3, 2010, a 19-year-old boy in March 2012 and an assistant forester in October 2012. 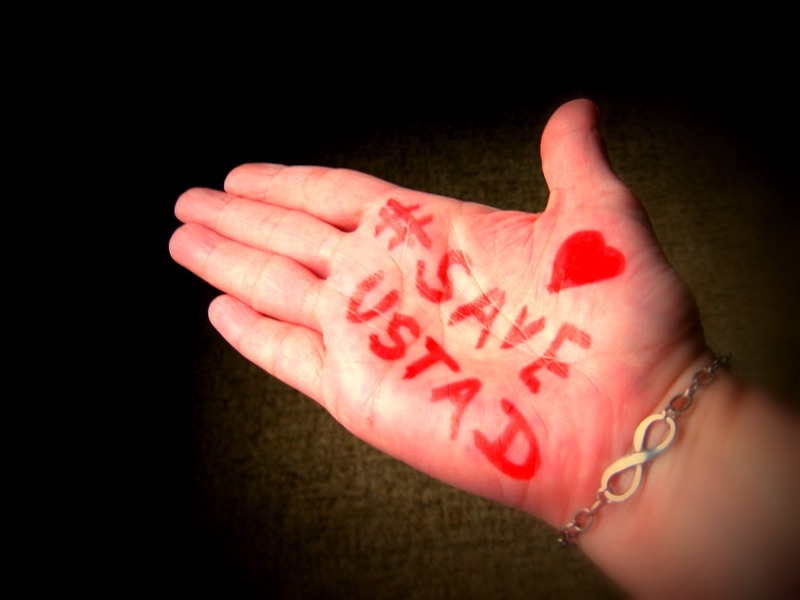 SECOND PETITION FOR T-24 USTAD. ACTION NEEDED PLEASE! THANK YOU!